Boynton and Co. active in the transfer market. As the NCAA coaching carousel continues, another player with OSU ties hit the market. 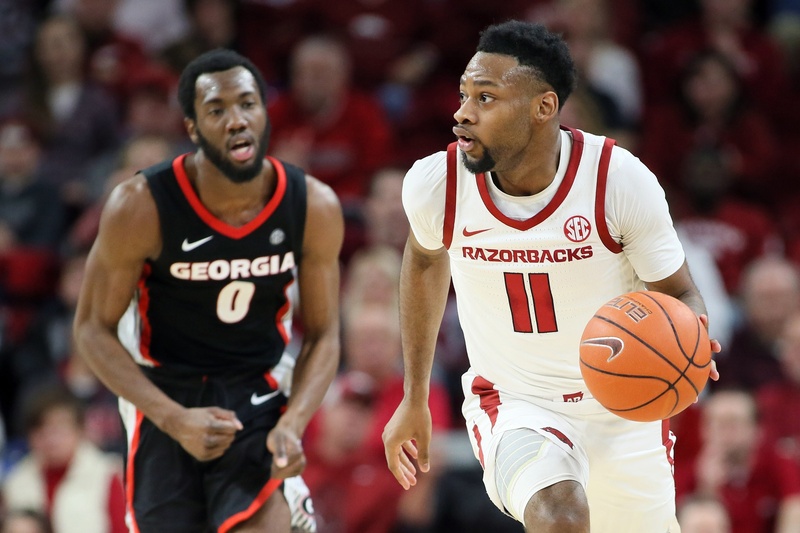 Arkansas point guard Keyshawn Embery-Simpson appeared in the transfer portal after Mike Anderson was fired. Oklahoma State is among a group of schools that reached out the Embery-Simpson, according to Hogville.net’s Kevin McPherson. Embery-Simpson is a Midwest City native who transferred to IMG Academy in Florida for his senior season of high school hoops. As a freshmen at Arkansas, he averaged 14.6 minutes and 4.1 points a game this past season. Rivals’ Corey Evans tweeted Embery-Simpson would have to sit one season before playing his remaining three after transferring, but given the coaching change and since Embery-Simpson is from Oklahoma, he might be a decent candidate for a waiver. Travis Ford initially offered Embery-Simpson a scholarship to OSU as a young high schooler. He was in the Top-150 of the 2018 recruiting class. OSU has two scholarships available for next season’s team. Former Texas A&M signee Chris Harris is on campus this weekend on an official visit.